As a contractor, determining what type of equipment will be used on a job site is a top factor and important decision to make for any project. Each machine and tool on your site serves a purpose and was designed to be used in certain conditions for specific projects to maximize its use and performance. Picking the wrong equipment will not only cost you budget, it will cost you time, which is essential to construction planning and development. When it comes to loaders, the wheeled or skid-steer loader is almost a must-have on every jobsite due to its multipurpose functionality. Its compact, quick, and powerful enough to get the job done for all builders and landscape professionals. Wheeled loaders are also great for snow removal during the colder months. So why use anything else? Every tool has its shortcomings and that’s where the track loader comes in. It does everything the skid steer can do, except with a few bonus advantages. Keep reading to learn the difference between wheeled and track loaders. To kick things off, lets breakdown the features that each machine offers. Wheeled loaders are lighter than track loaders making them easier to control around jobsites and more fuel efficient adding value in decreased operational costs. On the flip side, track loaders offer more operator comfort and are often used on jobsites to increase delivery. Track loaders are also softer on the ground and can reduce site clean-up compared to a wheeled loader. Both machines do offer great maneuverability, but the general consensus upholds that wheeled loaders work best on hard surfaces like concrete or landscaped areas while the track loader works better in rougher conditions and uneven terrain. Another common theme between both track loaders and wheeled loaders is their ability to perform multiple applications such as construction, landscaping, excavation, and forestry. Both options use multiple attachments to achieve many different jobs. Ultimately, there isn’t much differentiation between wheeled loaders and track loaders aside from the tracks and wheels. 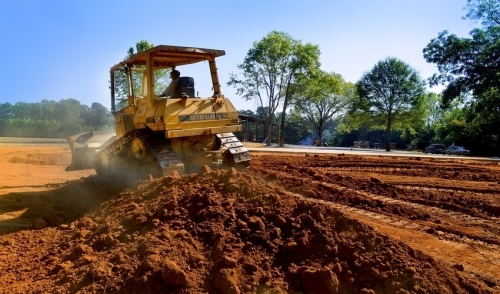 Yet, tracks offer the added benefit of saving contractors any downtime costs because the tracks are designed to overcome sloppy conditions where a skid steer would not be able to work at all. The real difference between wheeled and track loaders is the consumer. Each machine will have its pros and cons, but a contractor’s needs are individualized and largely represented by the type of project that is at hand and the amount of work that lies ahead. Choosing the right type of loader or skid steer is unique to your business goals and initiatives. Make the best decision for your team and the services you offer.